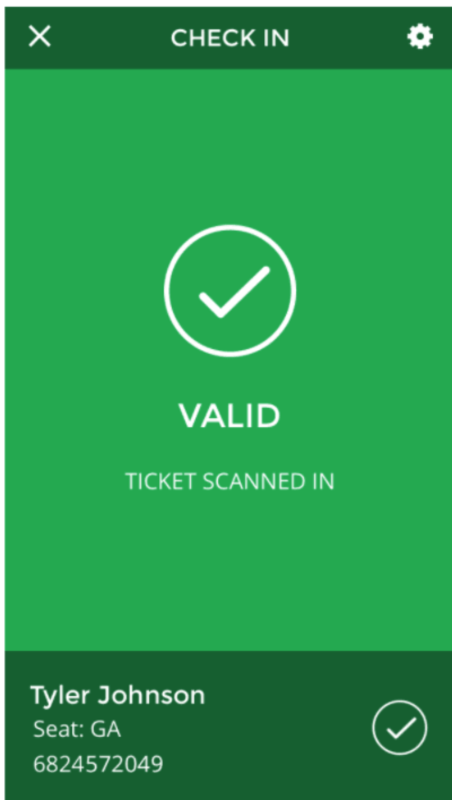 When you scan a ticket, the scanner will display a notification to inform you whether the ticket is valid or invalid. 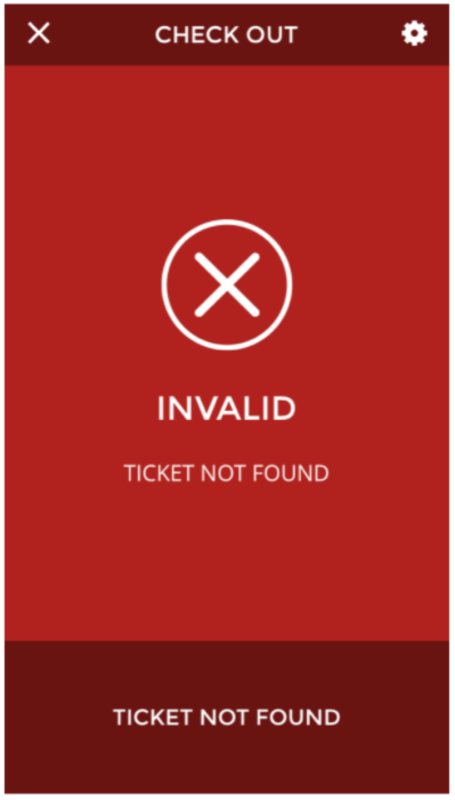 If the ticket is invalid, the notification will provide some additional information about the problematic scan. Valid. The barcode is valid for the event(s) downloaded onto the device and the ticket has been successfully validated. Invalid (Ticket Already Scanned In). The barcode is valid for the event(s) downloaded on the device, but it has already been scanned. Invalid (Invalid Ticket Type). The barcode is not valid for one of the accepted price levels for the event. Invalid (Ticket Not Found). The barcode is not valid for the event(s) downloaded on the device. Invalid (Ticket Void). The barcode is no longer valid for the event(s) downloaded on the device. Tap CHECK IN ALL to validate all tickets at once, or tap individual tickets and tap CHECK IN to select the tickets that you want to validate at this time. For tickets that have already been validated, you can tap CHECK OUT to allow the ticket to be scanned later. NOTE: Checkout Mode can be found by clicking the gear icon in the tope right. Go to next article about Axess Scanning.